Hilton offers the chance to combine points and money to book hotel rooms, which can be a way to stretch both your points and money further. But are these Points and Money awards a better value than free night awards? What are Points and Money Awards? Points and Money awards allow you to book a room with 40% of the number of points that a free room costs plus a cash co-pay. Of course, if you’re familiar with the Hilton chart, most categories have a range of points for a free night. The 40% is always of the maximum number of points needed for that category. 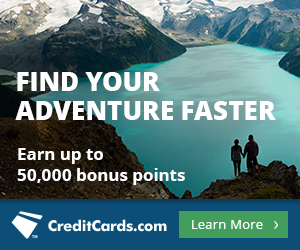 So Category 7 Points and Money Rewards require 24,000 points (40% of 60,000) plus a cash co-pay. While free night awards are available whenever a standard room is for sale, Points and Money awards are capacity controlled and only available at the discretion of the hotel. I think about Points and Money awards two ways. I think about them like I am booking a free room and then simultaneously being offered the chance to buy back some of my Hilton points. For instance, a free night at a Category 1 hotel costs 5,000 points. The Points and Money option at Category 1 hotels costs 2,000 points + $30. If I booked the Points and Money option, I’d think about it like “buying” the 3,000 points I was saving compared to a free night for $30. That is like buying Hilton points for 1 cent each. That’s a terrible deal, since Hilton points are worth 0.4 cents each to me. But many categories offer a better deal for “buying” back the points you save compared to a free night. Below is a chart showing the prices of free nights, Points and Money nights, and the “price” you are paying to “buy” points in each category. The last two columns show the “price” of “buying” points depending on whether the free night is the the minimum number or maximum number of points in its range. For instance, if a Category 4 hotel offers a free night for 20k points, and you pay 12k + $50, you just bought 8k points for $50 or 0.625 cents each. Bad deal! But if the free night was 30k points and you pay 12k + $50, you just bought 18k points for $50 or 0.28 cents each. Good deal! The big thing to notice is that Points and Money awards are a much better deal when a free night costs the maximum number of points allowed by its category. For instance, a Category 6 hotel that costs 50,000 points is a much better Points and Money candidate than a Category 6 hotel charging only 30,000 points for the night. The other way I think about Points and Money awards is how much total value I am expending for the night. I value Hilton points at 0.4 cents each, so a free nights costs me the number of points needed times 0.4 cents. A Points and Money night costs me the number of points needed times 0.4 cents plus the cash co-pay. Below is a chart showing the value I’m expending for free nights and Points and Money nights in each category. Notice that Category 1 and 2 properties are always a better deal as free nights. Category 3 properties are always a better deal as Points and Money nights. Categories 4-10 can be a better deal with either. It depends on exactly how many points a free night costs, since that is variable in Categories 4-10. Each hotel decides whether to open Points and Money availability. To search for it, perform a normal search with “Use flexible dates” and “Use HHonors Points” checked on Hilton Hhonor’s website (first click advanced search in the search box in the middle of the page). I like to perform my search for only a single night to get exact results on which nights have Points and Money space. You’ll get a list of dates with the number of points required for a free night, not a Points and Money night. To get the Points and Money availability, change the dropdown menu to “Points and Money Rewards” and click Update. Now you can see which nights have availability. This allows you to go back and search for a date range you already know has space. Points and Money awards from Hilton can be a great way to stretch your points farther. They are particularly attractive for great Category 3 hotels (here are my favorite Category 3 Hiltons), and Category 4-10 hotels that are charging the highest number of points for a free night. Do the math between paying for a stay with with cash, with points, or as a Points and Money award to determine the best deal for each stay. Right now the Citi® Hilton HHonors™ Visa Signature® Card offers 75,000 bonus Hilton points after $2,000 in purchases within the first three months. 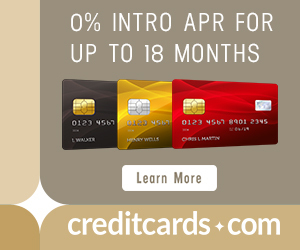 And through November 30, 2016, the Hilton HHonors Surpass Credit Card from American Express offers 100,000 bonus points after spending $3,000 in the first three months (note that you won’t find that offer on Citi’s website, you need to look here on Hilton’s website). Those points can be the basis of a lot of Points and Money nights. I can manufacture Hilton points with 6x spending at grocery stores, for a cost of 0.2 cents so this will never be worth it to myself and others in same situation, unless I’m out of points and need to stretch them to finish an award. I think one pays tax on the cash portion of the reservation. The $72 per Category 2 night is tremendous value but it may climb to $80 with tax depending on location. The higher the cash amount, the higher the tax. what geographic region r u in rick?